Some of the main goals that I set for myself in the beginning of my internship that aligns with OC’s goals are to ‘find my voice,’ ‘develop my career path,’ and build on my leadership skills. Reflecting on my internship and its beginning stages I was a little overwhelmed with how much research and training I had to go through in order to get started on my main project. But I am glad I went through the training, because I learned about how to conduct meaningful ethical research. 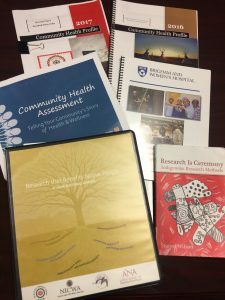 I had to review community health profiles (on a tribal, local, and national level), community health assessments, and read Research is Ceremony by Native academic Shawn Wilson (Opaskwayak Cree), all of which helped build the foundation for my project. Now coming towards the end of my project it’s amazing how I was able to achieve all my goals through the different steps in completing my project this summer. 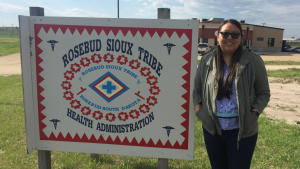 I worked closely with my supervisor during my internship, and together we drafted and completed a comprehensive Community Health Needs Assessment survey for the Rosebud Sioux Tribe (RST). The data collected from these surveys will prioritize RST health concerns, strengthen assets, and allow the Health Administration to address the community’s health needs. The Health Administration hopes to collect over 200 responses for this survey within the coming months. The survey will be sent out to all RST employees and programs. Even though this project will continue after I’m gone, it’s exciting to see how this survey will impact and improve the RST. A major partner for the Health Administration that I was able to learn more about was the Collaborative Research Center for American Indian Health (CRCAIH). The Health Administration and CRCAIH are working toward bettering the tribe by creating, establishing, and strengthening RST research infrastructure and code. Once the RST has a strong research code, it can allow and permit what types of research can take place on the reservation. The survey that I worked on will contribute to the research code by providing information that will build some of the foundation background such as, what are the demographics for the tribe. CRCAIH and the Health Administration spoke to tribal members at the Health Board meeting that I attended where they updated the tribal community about their current research, projects, and survey. Overall, I’ve had a great experience working with the Rosebud Sioux Tribe Health Administration during my internship. 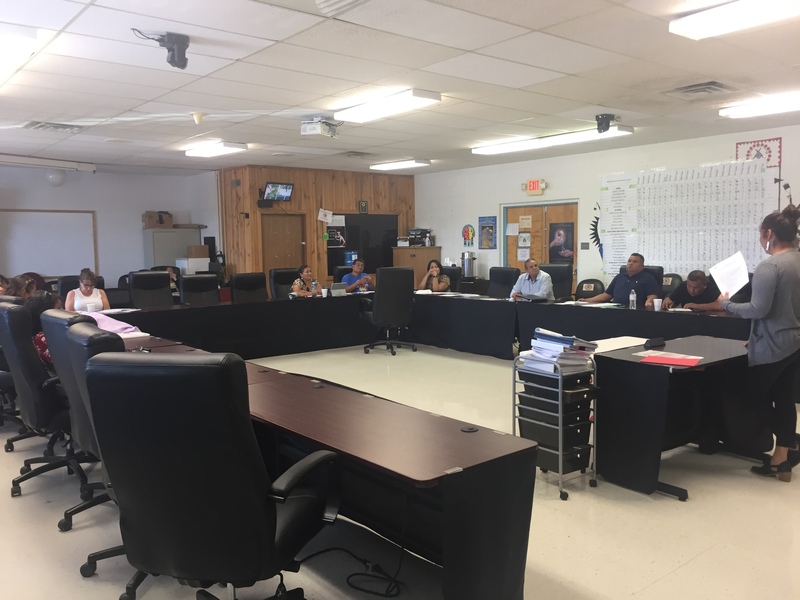 I was able to give back to my tribal community through meaningful work, whether that be through my community service in working with the youth, attending tribal meetings to discuss important topics with tribal members pertaining to my survey, or working the with a great staff of women at the Health Administration. I feel confident in walking away from my internship knowing that I completed my project to the best of my ability, and hope that this experience will pave the way for another great opportunity in the future.